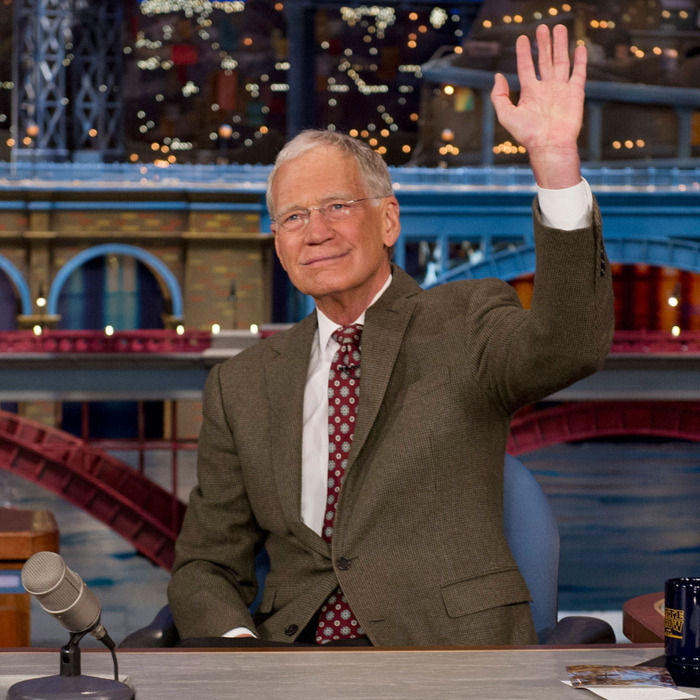 After a star-studded, legendary-comedian-heavy Top 10 List (the night’s highlight), David Letterman walks down the line of celebrities, thanking them for being on his last night as the host of Late Show. He stops to geek out at Peyton Manning (you can’t take the boy out of Indiana) and greet Tina Fey, then arrives at Bill Murray, his first-ever late-night guest and his last-ever late-night guest. “And Bill, I saw you on TV last night.” It was a small line — barely audible — but it was so purely David Letterman: knowing, ironic, silly.